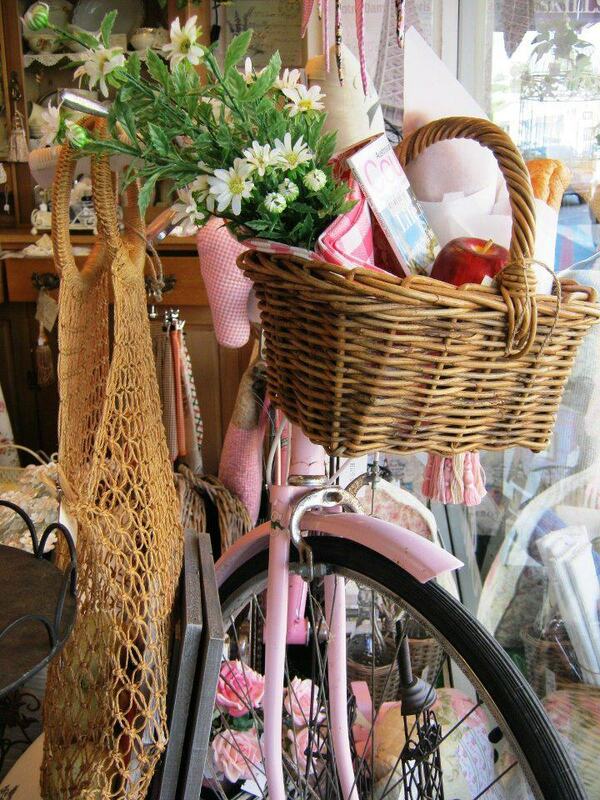 Bicycles are not just for riding any more! 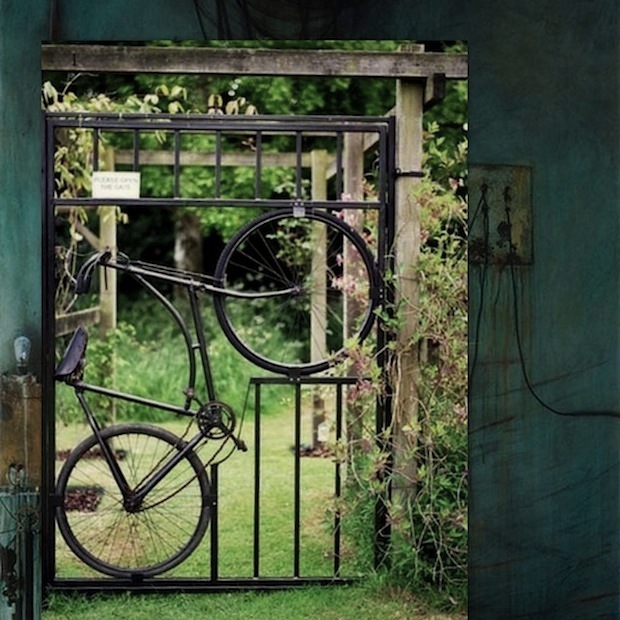 You see them repurposed in home decor…art and they are blooming everywhere in gardens. 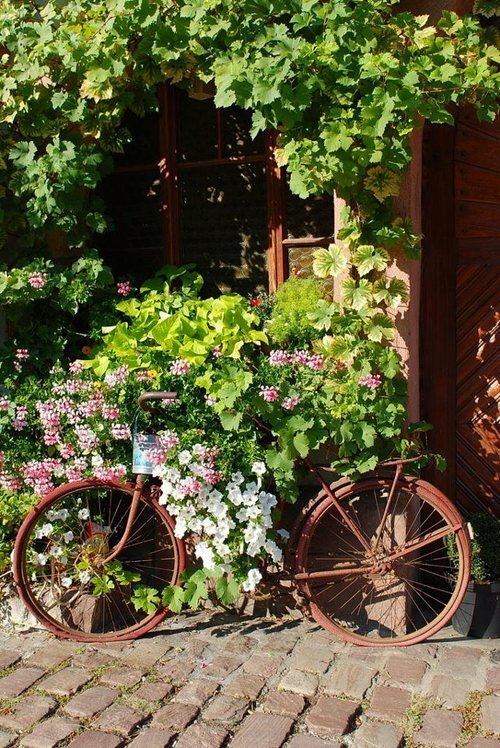 So if you have an old bicycle…one that might not be able to climb those hills anymore…think twice before you get rid of it…there might be an upcycled idea waiting for it’s future! Here are a few inspirations that might change the way your roll! 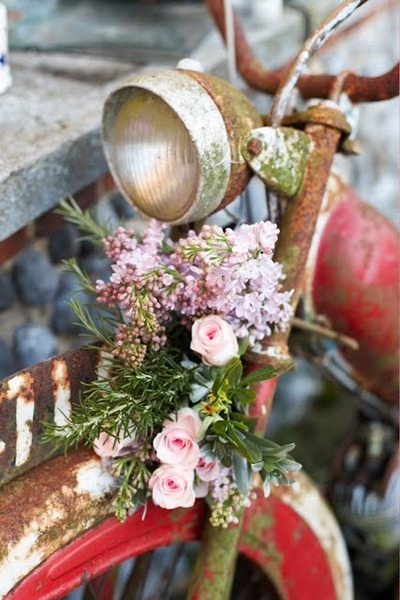 inspiration…what garden wouldn’t love to feature this chippy rusty…vintage beauty. 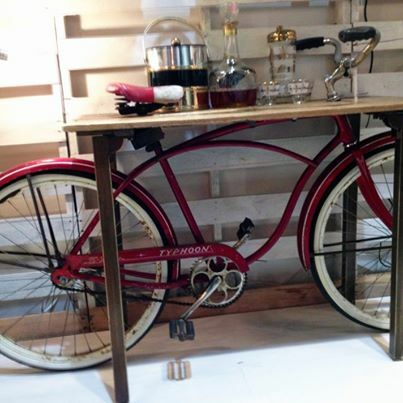 This classic bike adds some cool art at this little coffee shop! This is such a great idea and if you have someone that is hand with special tools…I bet this little bit of inspiration might just produce something awesome! 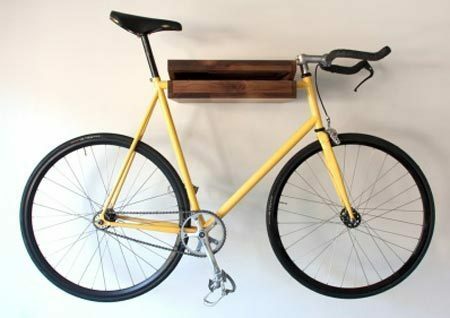 This is one of my favorite bicycle ideas! 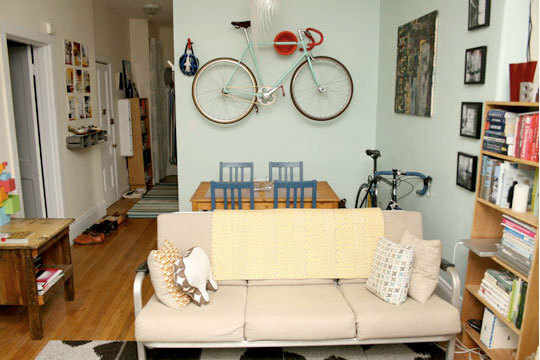 I wish there was a DIY for this…but it is a blocked pin. 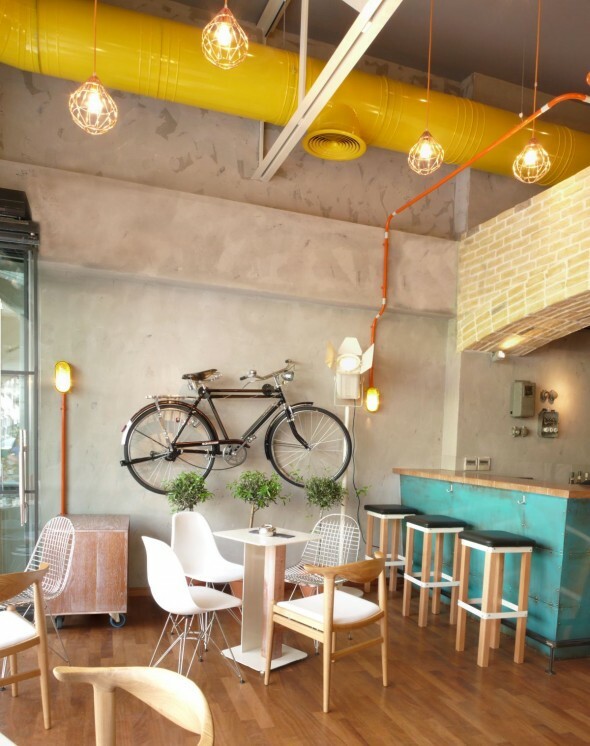 Who wouldn’t stop to look into the window of this cafe! 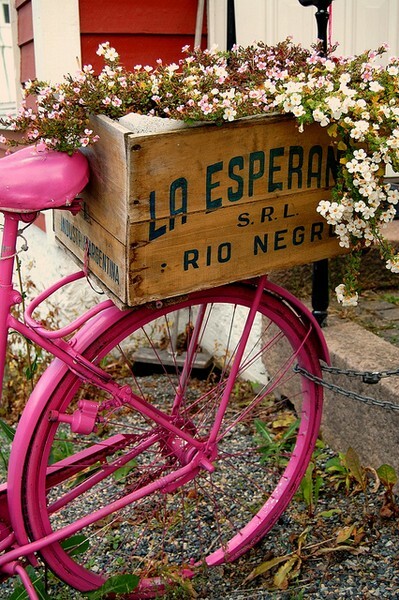 This pink beauty sure does add vintage beauty. No one said you had to use the whole bike! 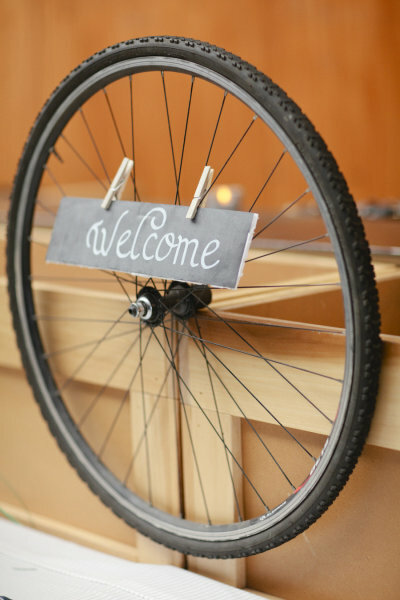 uses a bike tire to welcome Wedding Guests! 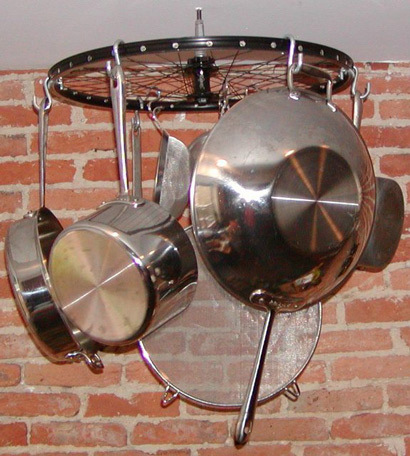 apartment therapy give a pot rack a turn of the wheel! 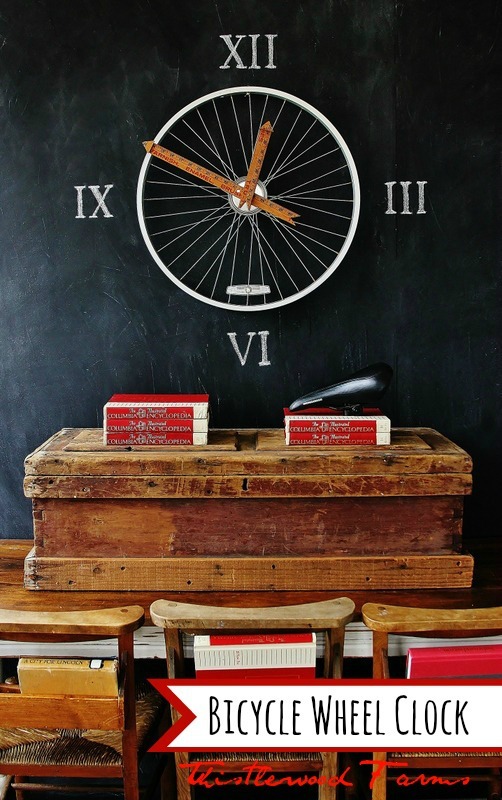 What a great book shelf! 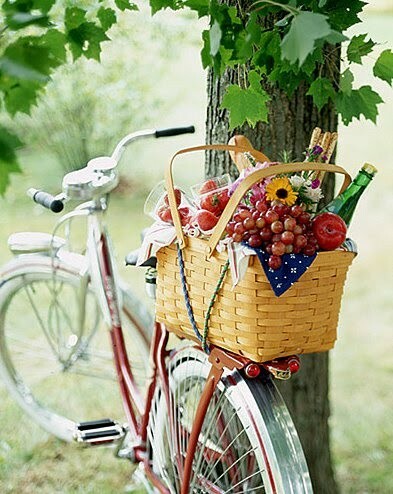 Add a basket to a bike…even a NEW bike as a bit of picnic decor at your next party. 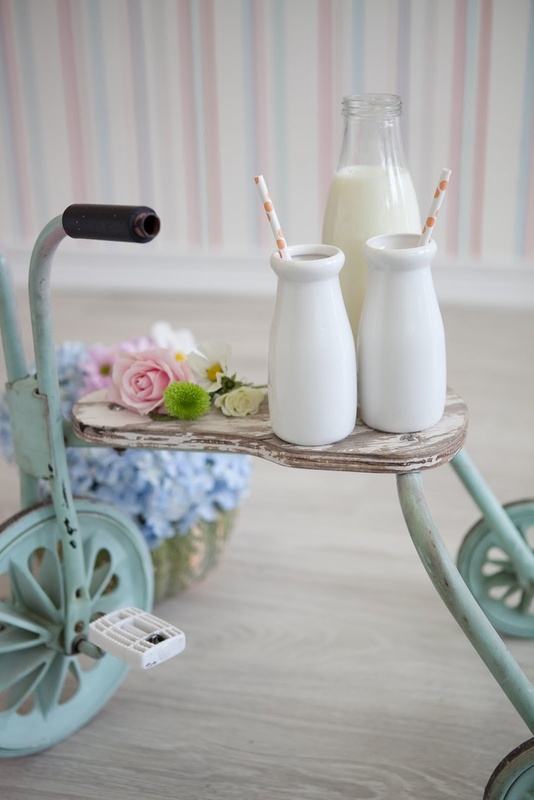 presents this positively adorable refurbished scooter…I mean how cute is this??? 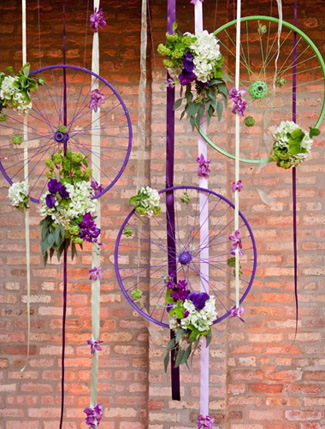 What a gorgeous way to decorate for a special day! The perfect pink lady for a wild flower garden. 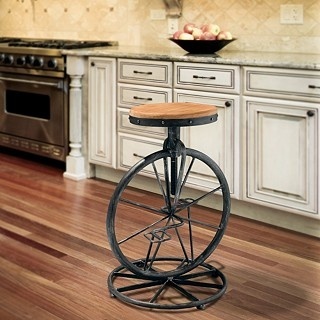 Once you see this I think there are going to be many one wheeled bikes out there! 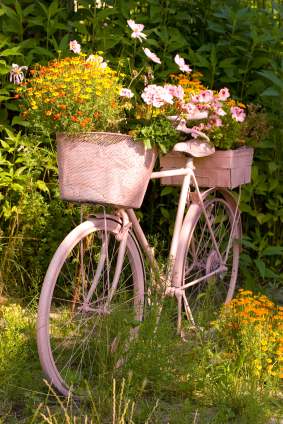 The perfect keeper of flower posts…doesn’t this look like it is one with the building! 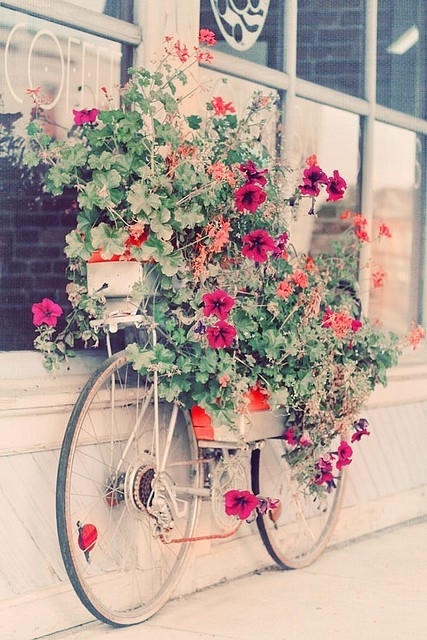 Such pretty eye candy! 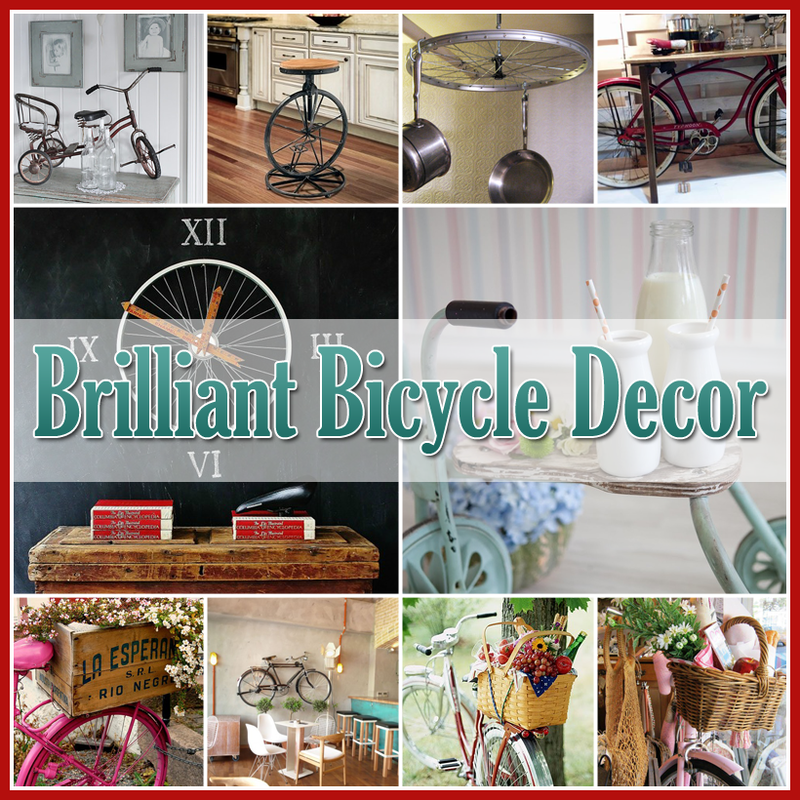 You bike can become part of the Holiday Celebration! 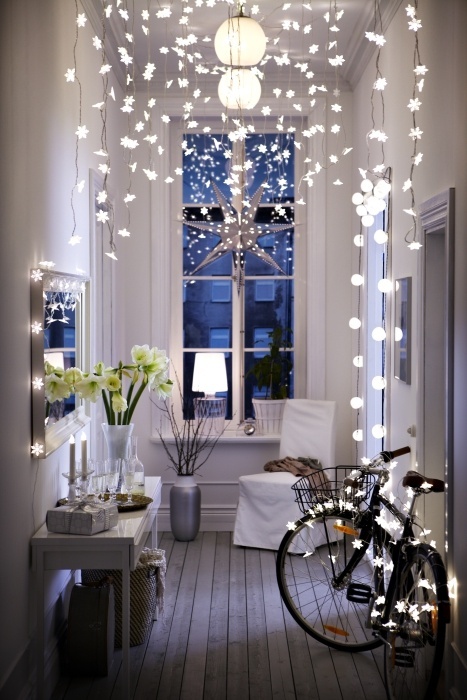 By the way…everything looks fabulous with sparkling white lights! 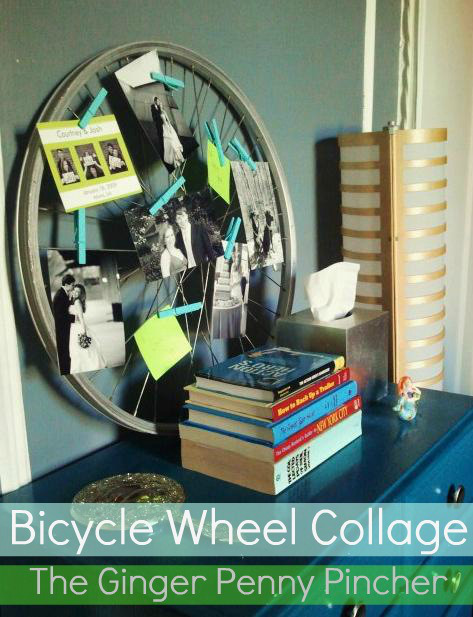 A bike wheel makes a perfect place to create a memory collage! 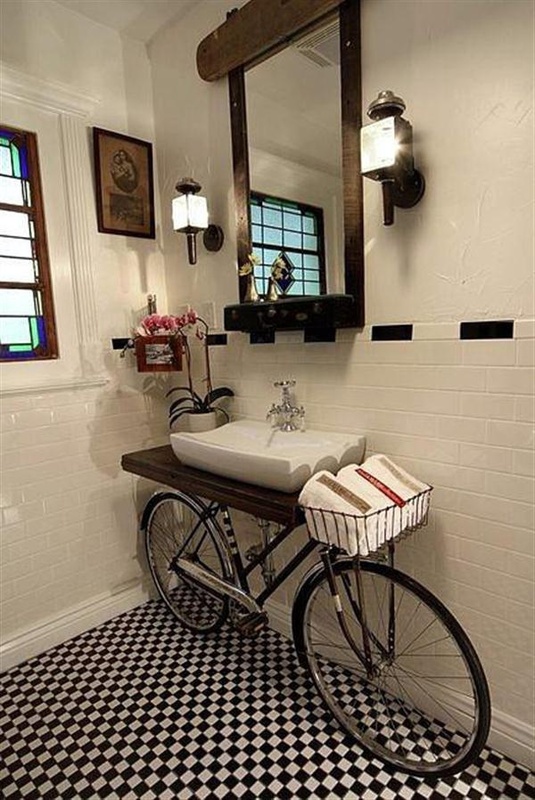 There are so many different ways to upcycle a fabulous bicycle…Hope all of these give you some great ideas! 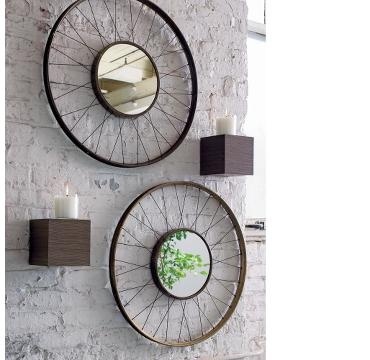 One thing for sure is whatever you create is going to look fabulous! 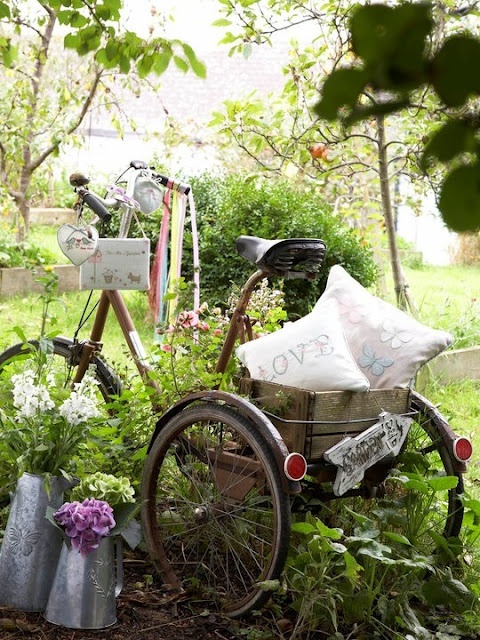 I love all those bike projects! 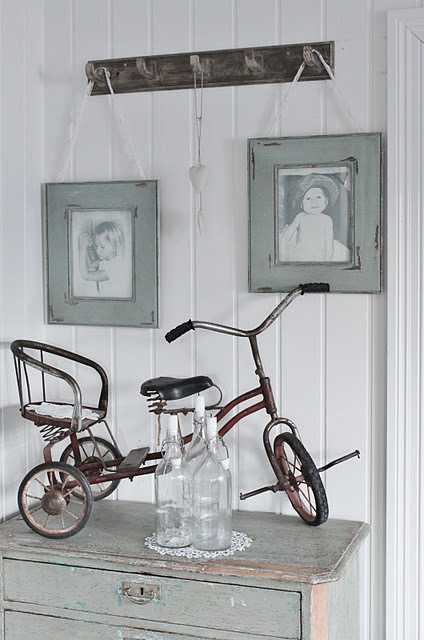 I have a friend who has an old bicycle that we found at a yard sale hanging above a bed in her mountain house. It looks great!